This Place of Worship was founded in 1813, but we understand it was closed after 1934. 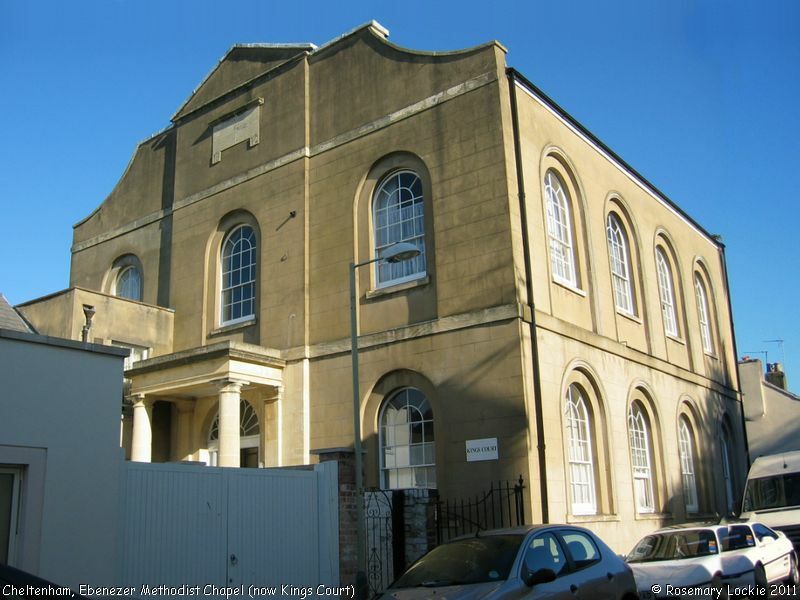 This has been described as Cheltenham's first Wesleyan Chapel, though certainly not the first Methodist chapel, since a chapel in Albion Street, built in about 1723 is said to have been used by Methodists from 1764, and Meakings Place Chapel, build about 1730, has also been recorded as a place of Methodist worship. 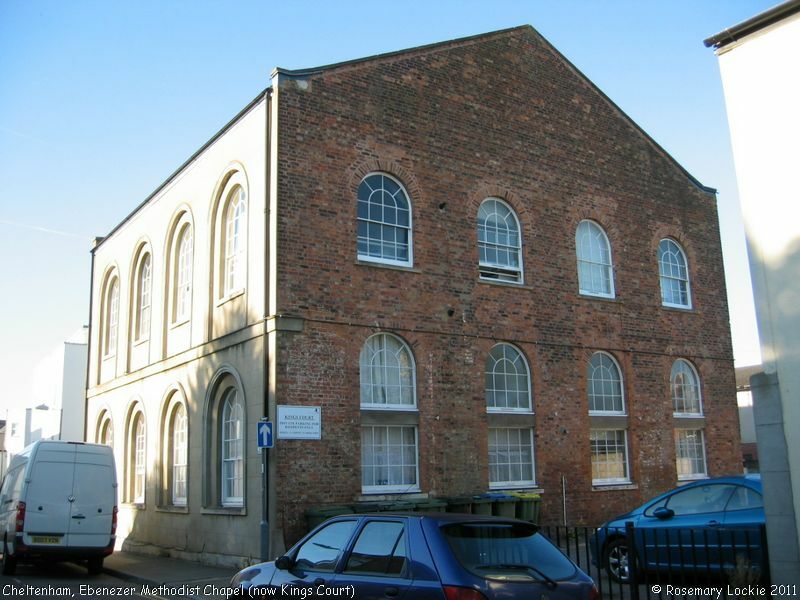 In fact, according to the document Cheltenham Borough Archaeological Assessments, compiled as part of the Gloucestershire Extensive Urban Survey (EUS) of 1995-8, Ebenezer Chapel was built for a Methodist congregation that had outgrown Meakings Place, which in 1824 was demolished to make way for Pittville Street. The ground the Ebenezer Chapel was built on had belonged to the garden of a High Street pub, sold by W.H. Jessop. It was erected in 1812-13 at a cost of £2,424 to a design by Charles Williams. When the building was opened, it was described as an elegant pile ... with a circular gallery capable of containing 1000 auditors, and wholly spacious and tasteful. The chapel was occupied by Wesleyan Methodists until 1840, after which it passed to a group of Baptists who had seceded from Bethel Chapel, and then to Primitive Methodists, from 1859-1934. Ebenezer Methodist Chapel (now Kings Court), Cheltenham shown on a Google Map. Information last updated on 11 Nov 2018 at 14:28. This Report was created 29 Mar 2019 - 21:20:06 GMT from information held in the Gloucestershire section of the Places of Worship Database. This was last updated on 7 Feb 2019 at 07:45.